New and current car owners will need to get car insurance comparison quotes to get the right insurance for them to legally drive their vehicle. This will help to get the best price on car insurance. Whether you are driving a car, truck, or van, you will want to pay the lowest price possible. 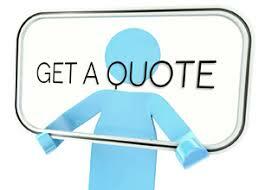 Insurance quotes will have varying prices because there are many factors to consider. Insurance companies will decide how much of a risk each driver is, how much the car is worth, and what it will cost to make repairs if anything happens to the vehicle. Every car owner should do their own research, compare prices, and then decide. Car insurance comparison quotes are an important part of buying a car. This process can be completed before you buy the car. It is a good idea to see how much the insurance is going to cost, especially if you are buying a sports car or have a teenager in the house. You may need to rethink which car you purchase based on the quote that you get. Some car insurance shoppers are surprised to see what the price of their insurance is going to be. It may be less costly than ever expected. Insurance shoppers can go online to compare car insurance quotes. These quotes will come from several different insurance companies. Car owners can expect to get the coverage that they need and want. There may be deductible and other responsibilities of the owner. Be sure to read the fine print, understand the policy, and agree to it before you buy. Many insurance companies will compete for your business but it is up to you to choose the best one for you, your family, and your specific vehicle type. Whether you are looking for car insurance quotes for yourself, your family, or a teenager, you will want the best price you can find. The best way to get great insurance coverage is to check several insurance agencies at one time. Car insurance comparison quotes are easily accomplished with a website that does the work for you. Simply input the correct information and wait for your quote. It has never been easier to get insurance for your car, truck, or van.